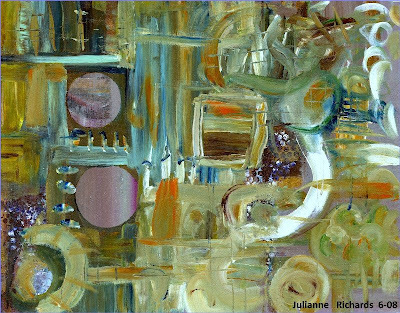 Julianne Richards: "The Colorspeaker": "Taking sides"
Ohhh Julianne, I really love the subtle colors as they sit with the strong lines! This is fantastic and a real beauty. I am sure it will go very quickly. Also, there is a video link on my posting for today I think you will think is a real kick! This is a fabulous painting, Julianne. It is always a pleasure to see a comment from you! you did with me on your blog. So I will link to you again for anyone reading. It is a wonderful read, and Kim asked the most insightful questions.